For now, I have written 2 reviews and it helps to see the progress. I would recommend you to do it yourself too so you can check on how you did the year before. Let’s see how 2017 was for me. This article won’t be chronological but I’ll try to let you know when it happened. 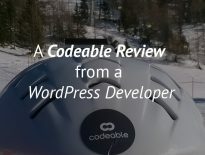 Codeable.io is still a big part of my journey as a developer. I joined Codeable in November 2016 and I completed 2 projects in 2016. In 2017, I’ve completed 19 projects and I made around $9,360 from them. The projects were done throughout the whole year. I am truly blessed to be a part of Codeable. For someone, that might not seem like a large sum, but in Croatia, for a lot of people, that would be a yearly salary. In the last review (2016), I told you that I got accepted at Toptal but did not apply or got invited to any jobs. From this year (2017), I can say that I have tried working with clients through Toptal. I actually can show my Toptal business card now to people and tell them how was working through them. I got a part-time job somewhere in September. It required me to work 20 hours per week so combining that with my daily job was a bit hard. I worked really hard and good. The client did not respect my working schedule and demanding me to work while I was on my day job so it was a stressful experience. Sometimes I even worked 30 hours per week (those 10 hours were non-billable). I managed to complete everything that was expected of me and we stopped working together at the beginning of November. After that, I have not applied for any job since I was full of other projects (more below). Other than the behavior of the client, I must say that working for Toptal was enjoyable also. I did not need to ask for a deposit or payment. Everything was handled by Toptal and their team is great to work with and communicate. While I was happy with Codeable, I also applied for a remote job on poststatus.com/jobs in May 2017. It was a job for a part-time backend developer so I applied. I got a really fast response from that application and had a call scheduled so we can meet and chat. That is how I’ve met Daniel Espinoza and I started working as a contractor with Grow Development. The company is really great when it comes to WooCommerce and Easy Digital Downloads projects. I’ve worked on many interesting projects and I am looking forward to new projects! Daniel is also the owner of Shop Plugins where you can find extensions for WooCommerce and Easy Digital Downloads. If you need to enhance your store, I would look no further. I am not sure if I can share information such as earning (would need to review the contract and they probably would not mind). But again, I can tell that I have made a nice sum of money. While working with Daniel, I never experienced any stress. That is something rare and I am really happy! I’ve decided to create a company, that is a Sole Proprietorship. Why? While reviewing the law in Croatia, if I received all that money as a freelancer, I would have to pay a huge amount of taxes. Let’s say that for around $4.5k, I would have to pay close to $2k. Close to 50%. Then name Neliki came from the dog of my girlfriend, it’s a Maltese dog. In 2017, I’ve created some new plugins and upgraded old ones. The plugin business is not so easy as someone would think. But if you like working with plugins and dream of having your own plugin business, then do it! If you wish to see all my plugins, you can check my profile at wp.org. Simple giveaways is the only plugin that has made some money. It is the first plugin that has 400+ active installs and I am really proud of it. In 2016, I have learned about Freemius and I’ve integrated it with Simple Giveaways. The plugin started making sales in 2017 and it earned $1,840. Around 50% of it was made in November and December, so I am really looking forward to seeing how it evolves. I’ve also changed prices from $49/lifetime to $89/lifetime and $49/year. I’ve also created integrations for it such as MailChimp, Aweber and ConvertKit and I plan a lot of new features in 2018. Another plugin that I am really excited about. I’ve created it in 2017. It provides you a way to have live scores that you can control. So if you have matches that live score services don’t show, you can easily provide that within your site. I have integrated it with Freemius aswell so I can track the progress of installs and provide a PRO version which for now also allows a commentary module. There are a lot of features waiting to be integrated. I was amazed when I saw that there is no add-on for such functionality in Easy Digital Downloads. So I went, spent 2 hours somewhere in November and created the first version of it. EDD Tab Manager is a simple plugin that allows you to create unlimited tabs and show them under your digital products. It still does not have any installations according to Freemius, but I think it will have some in 2018. The plugin was shared on the official EDD Twitter, so I have high hopes for it. I’ve continued writing tutorials on my site and I’ve seen a nice growth. I now have around 6k monthly visitors and that is a huge growth considering that until the August of this year, I had around 2.3k. While I’ve tried writing an article each week, some months I was really busy and some I was ill, so I was not able to manage writing an article each week. I was able to write 38 articles and most of them were tutorials. I have started working on my course “Become a WordPress Developer” really hard and I am now really close to complete. I also upgraded my setup by buying the Blue Yeti microphone so the audio is much better in the later videos. I’ve left it at $47 since I consider it pretty fair (even low considering others). In 2017, I’ve recorded more than 12 hours of video content. There are not many students for now. I would like to have much more but I guess I am not too trusted or I missed the whole point of a WordPress Development Course. I want to believe it’s because I am not trusted enough, yet. So far, 13 students have enrolled and I’ve earned $471.7 from it. Enough to compensate for my investment in the setup. I also bought the Restrict Content Pro plugin so I can start a membership site. My plan is to add premium content in 2018 and more premium codes. I also allow unlimited replays of my webinars to anyone who has a membership. The membership is $3/month or $30/year. For $3, I get around $2.5 from PayPal. Currently, I have only 1 member and I am really thankful for showing interest in the membership. That is something that I also plan to do and grow my audience in that way. For now, I hosted only 1 webinars and it was about Conditional WooCommerce Checkout Fields. My plan is to host 1 webinar per month and for January, I plan to do one on AJAX. That is something I have tried the day before on Twitch. But something went wrong with the stream for the last 10-20 minutes. I’ve found it was an issue others have experiences so I think I’ll move the live coding sessions also to YouTube. My eBooks are doing fine on Leanpub and I managed to hit $1000 mark by selling my eBooks. 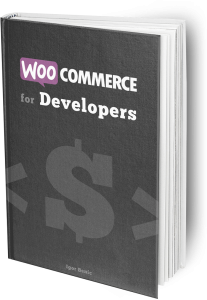 The most profitable eBook, for now, is WooCommerce for Developers. My plan is to add new content to that book and also to Easy Digital Downloads for Developers. I’ve decided to invest in my knowledge so I joined the PursuitHQ from Melyssa Griffin. This is not a developer membership but I do want to expand my site and improve it so I can grow my audience and provide better content. This costs me $47/month. 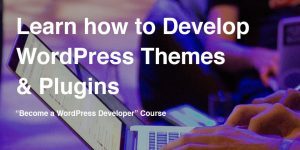 Gutenberg is also coming really soon, so I’ve bought the Gutenberg Development Course from Zac Gordon. I have yet to finish it, but so far it is looking really good. The biggest win this year, by far, is that I got engaged to my beautiful girlfriend. We plan to get married this year (2018) in August. I guess, this year will be wrapped around that but I really am looking forward to that. The engagement was a bit funny. We were in a restaurant (almost empty) and once we ordered our food and went chatting, I went to grab the ring container in my pocket. She started saying “No!No!No!” because she taught I was making a joke with another thing. I guess I make her laugh, so that is why she loves me 😀 After she saw what I was holding, she stopped saying “No”. Lucky me! Something I struggle whole my life. In 2017, I managed to lose around 5-6 kg and then stopped training because of an injury I got while playing basketball. Somehow, I just can’t start training again. How did I train? 30 mins a day following the guides on darebee.com/. Now, I am back on the weight I had before, but I’ll try to get fit before the wedding. I also went under a surgery in August and was really ill in May but now I am fine and starting to get back on my feet (regarding health). I guess, you have to try hard if you want something to happen. If you asked me 1 year before, I would never imagine that I would be in this situation where I have a good audience, course and exciting plugins. Let’s move forward together in 2018. If you have any questions, you can always contact me. It was a great year Igor! Looking forward to a great 2018! Keep of the great work, Igor. I’ve really liked reading your blog and chatting a bit on Twitter this past year :). Thanks, Tom! I love reading your articles. Congratulations on your engagement and I hope that your health keeps improving. Inspiring, thank you for sharing your story Igor. Wish you all the best.